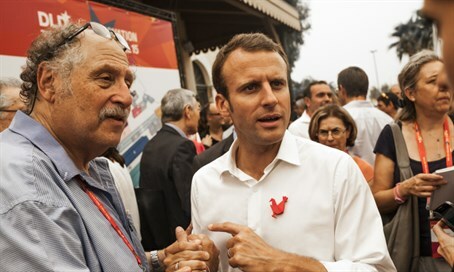 French Jews' mass aliyah (immigration) to Israel has impacted the French business world - so much so that the French Economy Minister himself has invested in bringing back Jewish talent. But more than strengthening economic ties between countries, Macron's visit is part of a larger agenda to stop brain drain. “A lot of these people have energy, vitality. They want to create jobs, startups, and innovate here,” Macron said in an interview with the Wall Street Journal on Tuesday. “They can innovate as well in France." Over 7,200 French Jews made aliyah in 2014 – an all-time record, and the first time since Israel's establishment that more than 1% of a Western country's Jewish population immigrated to the country in a single year. Macron insisted in a visit to a French high school last week that while Paris has not attempted to stop French Aliyah, it is “our responsibility is to make sure it’s a choice." To that end, Paris has boosted security around Jewish institutions - but it may be too little, too late.